Let’s start Thanksgiving early at The Lake Chalet! We are working hard to bring The ZORGOS Project to Oakland, and our Start Some Good fundraiser (http://startsomegood.com/zorgos) ends the day before Thanksgiving! Help us meet our goal and share in our GRATITUDE with our supporters at this event! IMAGINE an Oakland where respect, kindness, and caring are practiced in all homes! THE ZORGOS PROJECT will bring positive change to Oakland through parent education, connection, and consciousness. In Esperanto, ZORGOS means “I will care.” The word also symbolizes the power to shift harmful bullying dynamics into caring and kindness, and positivity. IMAGINE the potential change in our schools when attendance rises because students feel safe…. To accomplish this, THE ZORGOS PROJECT is donating 3000 copies of THE BULLYING ANTIDOTE to school, church, work, and community groups to empower parents with the research-based tools they need to cure the cultural mean-ness that hurts and holds back children, teens, and adults alike. IMAGINE schools where our teachers are less stressed and experience greater success because kids have better emotional connections at home. Together, we can do it! Through parent reading groups, we will create conversations where they need to happen, and expand the positive parenting community in Oakland, where non-violence is our greatest hope. Donors and friends, please come join us! 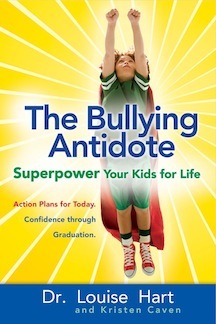 Get your copy of THE BULLYING ANTIDOTE at our party at Lake Chalet, Tuesday, November 24th, rain or shine! All donors will be entered to win a FREE Gondola ride, courtesy Gondola Servizio! Bring your friends, bring family, and bring your cell phone for our 11th hour rally! It’s Happy Hour (3-6) AND Taco Tuesday at the Lake Chalet, from 3 until closing! Did you know Zorgos is Esperanto for “I will take care?” When people care, they will move mountains to achieve success. More importantly, Zorgos symbolizes the antidote to bullying… and the power to shift bullying dynamics into caring and kindness. The Bullying Antidote provides parents with the research-based tools they need to cure the cultural disease that lies at the root of so many of our social ills. The Zorgos Project will give 3000 copies of The Bullying Antidote to Oakland parents who will read it in school, church, family, or work-based reading groups. We know you care, too! Please help us help Oakland parents help their kids. 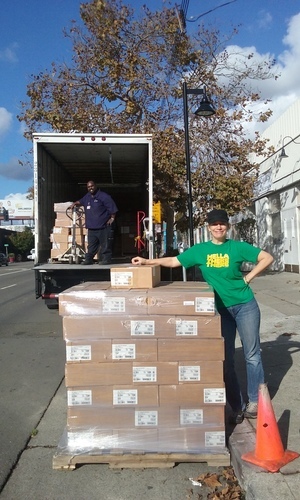 The books are now living at Oakland Parents Together and other Oakland locations… until we fully roll out the program in January. Do you still have The Bullying Antidote on your reading list? Don’t read this book alone! If you live in Oakland, START A READING GROUP in your school, church, work or neighborhood. If you live elsewhere, or if you are shy… or too busy… you can join our online reading group NOW. There are discussion questions being posted on the Zorgos Reader. Read a chapter and reflect in the comments! CHECK OUT OUR GREAT PERKS! Plus all donors who live in Oakland will be entered to win a Gondola ride on Lake Merritt! on the steps of the apartment next door. my husband, a teacher, came home with stories. and the staff pulled him back to save him from her. so mom came in to beat up the teacher. (setting him up for a wonderful day of learning…). but his parents knew better. with full helpings of neglect, abuse and death. Please spread the word about The Zorgos Project at Start Some Good. If you can make a donation TODAY, you will make a difference to Oakland kids, helping parents creating safer and happier families, streets, and schools. If this project works in Oakland, it can work elsewhere. Even a $1 donation will be so appreciated! Please Support the ZORGOS PROJECT! 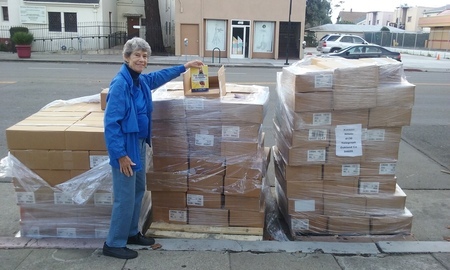 A big thing happened during National Bullying Prevention Month: 3000 copies of The Bullying Antidote were donated to Oakland, California. The Zorgos Project will put them into the hands of parents who will read them together…because moms and dads can create a positive future! Please Like, Share, and Follow this campaign… and please donate if you are able!